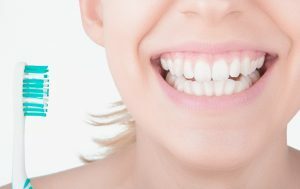 While periodontal disease (aka, gum disease) is highly preventable, it remains one of the more common chronic dental health issues among adults in the U.S. For patients who experience forms of the disease, it’s also the leading cause of adult tooth loss and a significant factor in several other chronic inflammatory conditions. The good news is that periodontal disease is also highly treatable, and your periodontist offers a wide range of customized options for addressing it. Perio Protect is just one of those options, and today, we explore the advantages it can give you in your fight against one of the most destructive dental health issues you might face. Periodontal disease begins with the excessive accumulation of harmful oral bacteria (known as plaque) along your gum line. If you don’t brush and floss away the plaque in time, then it can develop into tartar and the bacteria it harbors can work their way underneath your gums. The disease progresses as these bacteria destroy your gums from underneath, and periodontal treatment focuses on removing them so your gums can heal. Perio Protect is a safe but potent topical anti-bacterial agent that you apply daily, and works to continuously combat the harmful microbes responsible for periodontal disease. Depending on the severity of your gum disease, treating it can require routine visits with your periodontist for checkups and maintenance. Between your visits, however, you can boost your periodontal health by applying Perio Protect from the comfort of your home. The treatment consists of custom-designed trays that fit comfortably over your teeth and gums and deliver the Perio Protect agent directly to the harmful bacteria in your gums. Because oral microbes grow every day, Perio Protect gives you a significant advantage in ensuring they don’t accumulate in time to cause more damage to your gums and oral health. In addition to expert care and maintenance from your periodontist, the use of Perio Protect can significantly boost the effectiveness of your periodontal treatment. To learn more, schedule a consultation with Dr. Kania by calling her periodontal office in Encinitas/San Diego, CA, at (760) 642-0711.